March is a month of expectations while carrying spring in the air to spread its warmth. March, being last month of the financial year, all knew it was going to be a busy and happening window of 31 days. Let’s Nurture, being an IT services and IoT solutions providers, had many things to be done during this month and guess what, the Nurturers did it with style. Be it festival, recruitment process, project deliverables, client visit or business tours; Team Let’s Nurture was right on the money. The month started for everyone with a colourful reason to cherish- Holi and Dhuleti. It was a company holiday on the day of Dhuleti, so everyone was excited on playing some part on the day of Holi, in their own way. 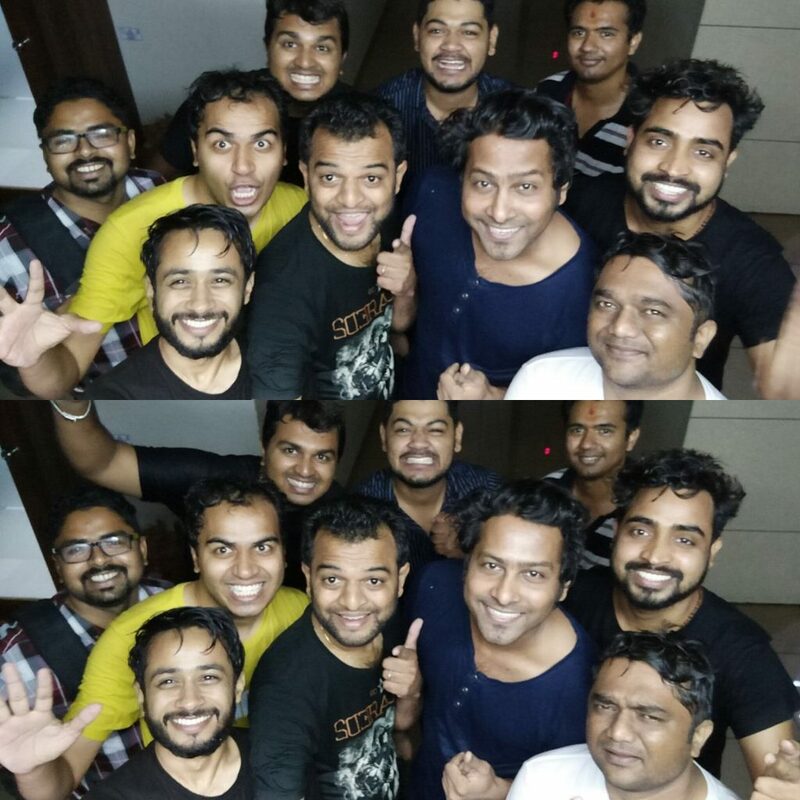 Those who were counting themselves lucky to escape were the actual unfortunate ones to miss the sheer joy of playing Holi with their colleagues with water. The joy was such that the CEO, Mr. Ketan Raval, was not spared and he also had to take part after getting drenched by water. Another highlight of the Month was the Campus Recruitment. Yet again, Team Let’s Nurture headed to Siksha ‘O’ Anusandhan University, Bhubaneswar for campus recruitment to hire young and fresh talents after having a successful encounter last year. 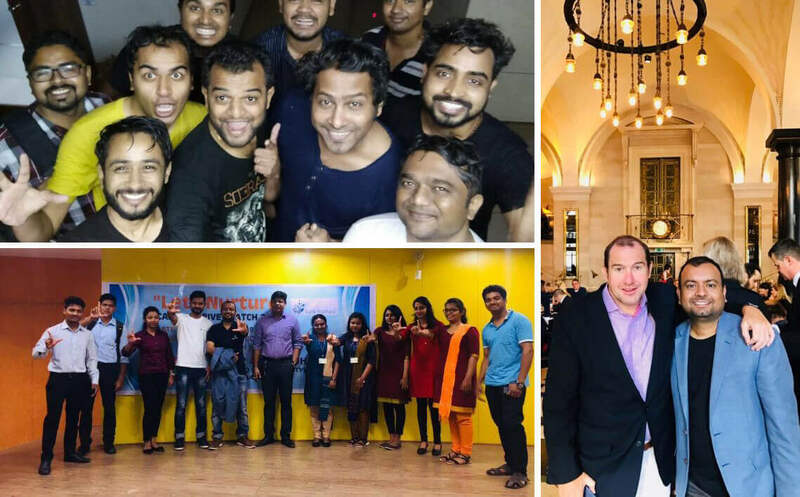 The troop for this recruitment process included CEO himself along with HR department and Team Leads of Android app development, iOS app development & Web development. 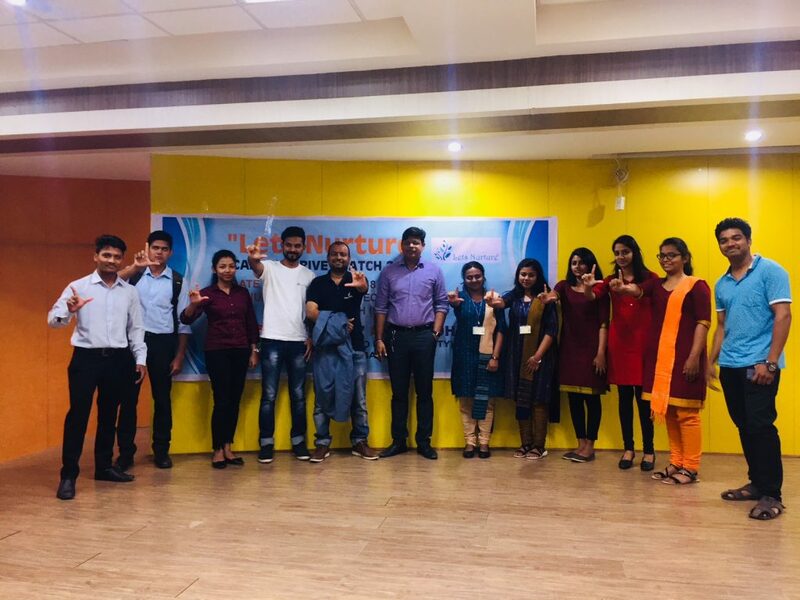 There was such a wonderful response and enthusiasm from the students having seen the experience and success story of their senior hired by Let’s Nurture last year, who was already a part of recruitment team of Let’s Nurture, Miss Pragyan Paramita- currently working as a Business Analyst. After the day long process schedules with tests and interviews, a few were shortlisted and finally nine interns were selected for multiple positions in Digital marketing, Business development, mobile app development and website development. 8th March, 2018 was meant to be a special day indeed. The whole of Team Let’s Nurture showed warmth and gratitude towards all the women working for the company. All the women had a dress code in Pink and were greeted with unprecedented surprises in the history of Let’s Nurture so far. Video testimonials were played from the management team including CEO’s message of appreciation to all women working for Let’s Nurture. A slideshow containing messages for all the female employees of all the departments from their Team Leads was shown on the Screen throughout the day. HR came up with the best possible way to greet and appreciate their efforts for the company by providing personalized gifts with their names on it. 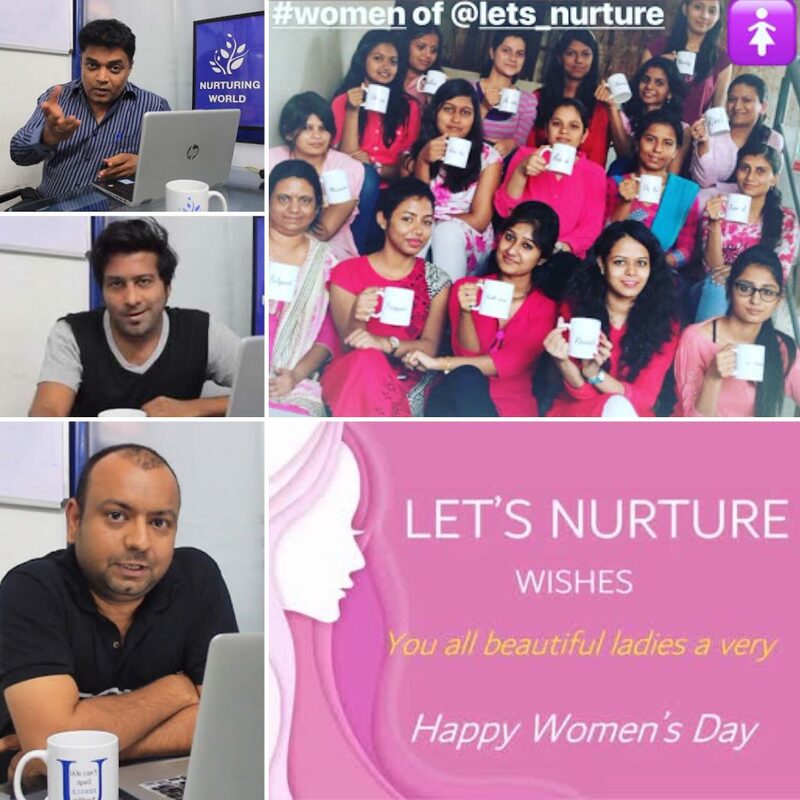 There is an essence of gender equality and to provide equal opportunity to all at Let’s Nurture, and International Women’s Day was just a fitting stage to express it to people inside and outside the company. As we are thriving in terms of providing scalable solutions, our global client base is growing exponentially. Hence, it is always a possibility of having regular meetups and networking to seek business opportunities while maintaining long term customer relationships. 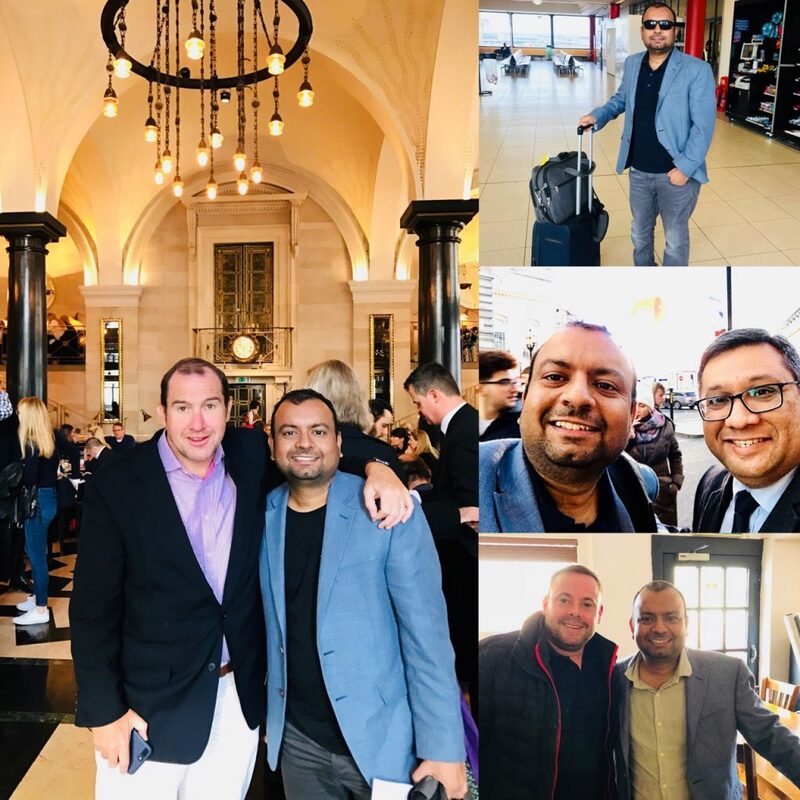 Our CEO, Mr. Ketan Raval was on a regular business tour during this month and had visited UK, USA and Canada for regular meetups while creating more opportunities to foster businesses and startups. An exciting month so far to say the least. As always the Team Let’s Nurture was in full flow to achieve the goals set for this month. To start with, we developed and got our own BOT, know as Lisa, utilizing our expertise in Chatbot development for our own website. Lisa will help you answer your queries and provide you with much valuable information 24/7. Ofcourse it is still a work in progress but she will definitely help you out for your general queries. You will be seeing her giving you lot more answers imminently. A project to build a social networking platform leveraging Android and iOS development, we were working on for our client is almost done and in final stages of testing and we expect to be it live very soon. You can find people around you, chat with them, share videos with them and do lot more to make new friends. It will be initially available in Singapore to begin with. A native Android mobile app solution for automotive industry developed by us provides seamless and cost effective tracking solutions for global tracking and fleet management. By using our GPS devices in the vehicles and configuring them with our application, you can do real time tracking for the vehicle. You can go and download the app from here. Another one of our product which we had been working regarding delivery of refrigerated items is ready and all baked in the oven. The toppings are about to be garnished and it will go live before end of April. It is indeed an exciting project which provides a platform where the sellers and buyers for refrigerated goods meet and do business. This mobile app development project also has a feature of live tracking in real-time. The online sports gambling app, meant to be developed for all platforms- web, Android and iOS; which we had been working on for past couple of months is finally ready. The client is doing the acceptance testing of the same. It will launch in timely manner just before the grand IPL 2018. What a timing!! Alexa app and Alexa Skill developers at Let’s Nurture have developed intelligent and unique Alexa Skills for live updates on news, movies, stock market, Smart Home Automation using Raspberry Pi and much more. We have recently uploaded demos on our Youtube Channel and we hope you will like them. Do follow us for more videos on technology and POCs we develop to be a solution for tomorrow. We will appreciate your likes and comments. Last but not the least, our own website is getting a major makeover. Check out our site in a few days. We are doing final testing of the updates and it will be available to serve you very soon in a better way. We always try to improve to be able to serve you better than yesterday. See you around! Let’s Nurture always strives to deliver quality to our clients as well as employees. If you are looking for a firm where you are not only bound to work but also have regular chance to cherish moments in events and festivals, Let’s Nurture is definitely the right choice. Join our amazing team.